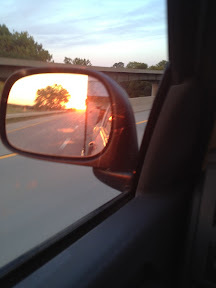 Our annual trip to the National Junior Angus Show began Saturday night as we headed to Kentucky with a Kansas sunset in our mirror. 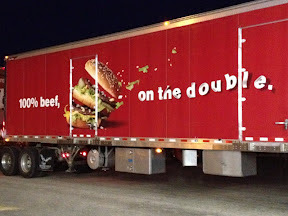 On one of our refueling stops we encountered a McDonald's truck hauling two trailers. "100% Beef, on the double!" 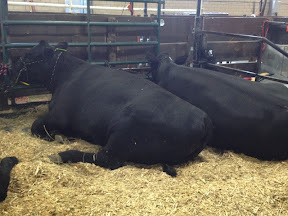 After arriving in Louisville, Kentucky we worked hard to get the heifers settled and they immediately stretched out in the air conditioning and fell asleep! 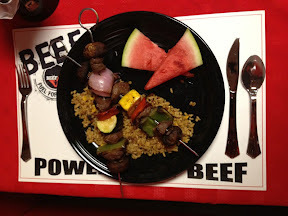 The Certified Angus Beef cook off competition is a great way to showcase a new beef recipe and the talents of kids! 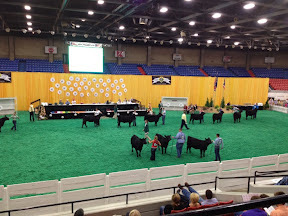 First of all I want to congratulate you on your well deserving award - America's Farmers Mom of the Year 2012. It couldn't have gone to a more deserving mom! From the first time I met you (a few years ago) I knew you were proud of your family and your ag heritage. You always make people feel very comfortable and enjoy being around your family. Cherie: Thank you so much for your kind words. We had a great time in Louisville--and the Angus family is still going strong! Great memories through the years and so happy to have gotten to know you all through Angus as well.